It is exciting to consider the possibilities of taking your successful hobby farm to the next level, but there are quite a few factors to carefully consider before you turn your hobby farm into a profitable business. It is not as simple as selling your excess garden produce or fresh eggs, but with the right vision, planning, and implementation it is possible to make your dream of owning a profitable homestead a reality. Before you begin any journey, you need to know where you are going and how you are going to get there from where you are now. Ask yourself the following questions before setting up your farm business. Why do you want to turn your homestead into a business? Making money is an obvious reason, but it really shouldn’t be the only reason. Whether you are wanting to align your environmental, spiritual and physical health values with your work or wanting a way for everyone from toddlers to grandparents to participate in the family economy, your motivation for starting this business will guide everything from your service or product to price to your customer base. How can you create different income streams from one homestead business? Homesteaders know the danger of putting all your eggs in one basket. In addition to the risks every new business deals with, homesteaders must also consider forces beyond their control: weather, predators, food trends, new farming regulations are just a few. To protect yourself and your business, think in terms of multiple projects under one homestead umbrella. For example, if your farm specializes in rabbits you should have a meat project, fiber and pelt projects, garden manure project and breeding project. You can expand this to include building rabbit hutches and rabbit tractors, writing rabbit articles for homesteading magazines and blogs or creating your own money-making blog. If you are starting a basil business, don’t just sell potted plants. Sell potted plants, seasoning blends featuring your basil, homemade pesto, and basil-flavored pasta. Add a different variety of basil each year as your funds and knowledge increase. What resources do you have and what resources do you need? Resources include property, capital, knowledge, skills, and passion. Do not get stuck in the trap of thinking you must have a certain acreage in order to start your homestead business. Homesteading encompasses a vast area of skills, products, and services. 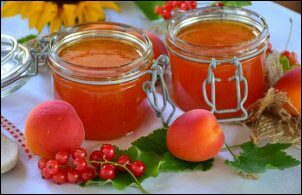 If you are interested in fresh fruit preserves, you don’t necessarily need an orchard. You can purchase local fruits from area farmers, add some complimentary herbs grown on your apartment balcony and process these preserves in your tiny kitchen. Certain varieties of mushrooms can be grown in a spare room or garage. Think outside the box to find a way to get started. Knowledge and skills can be picked up as you go if you have enough passion to maintain the momentum and enough capital to sustain yourself. Read books pertaining to your homesteading interest, as well as business, marketing, and money management books. Attend farming and business conferences, network with other farmers and refuse to let the fear of failure prevent you from trying something you have never done before. Cut your expenses as much as you possibly can. Invest any extra money in your homestead business. If you believe you have absolutely no extra funds, start your business on a shoestring. You can start a herb business with one packet of seeds. For that matter, you can forage wild herbs for free. Whatever you do, make sure you are passionate about it to keep at it even when times get tough. Remember, it takes 3-5 years for start-up businesses to grow a profit. For common-sense advice, read “Making Your Homestead Pay… You First!”. Make a list of your assets and determine what else you need to make your vision of a homestead business a reality. Your family and friends may purchase from you once or twice but unless they fit your ideal customer profile, you should only count on them for moral support. Moral support is important, but it is not going to pay your bills. For financial success, you need to profile your ideal customer. Are you selling to a man or a woman? What age? Where does he or she work? What level of education does your customer have? Where does your customer shop? What is her hobby? Where does he like to spend his free time? Start with the basics and go from there. The more in-depth you can get, the better. When you finish answering this question, you should have a clear picture of who you are selling your product to. Does your ideal customer have the money to buy what you are selling? If yes, perfect. If no, you can either lower your cost or create a different customer profile. Identify 2 or 3 of your customer’s needs. People make purchases to solve problems. Once you identify the need, you are very close to securing the sale. Does your product or service solve at least one of those needs? People will buy a product once out of curiosity, but to create loyal customers your product must meet a need or solve a problem. What makes you and your product different from all the others? It is easy to get so excited about your idea that you neglect to research the market. If the market is already saturated with your great idea, it is going to be tough getting your foot in the door. If you haven’t chosen your specialty homestead product, I recommend reading “Your Business Niche: Identifying and Filling a Void in the Marketplace”. How will you market your product or service to your customers? 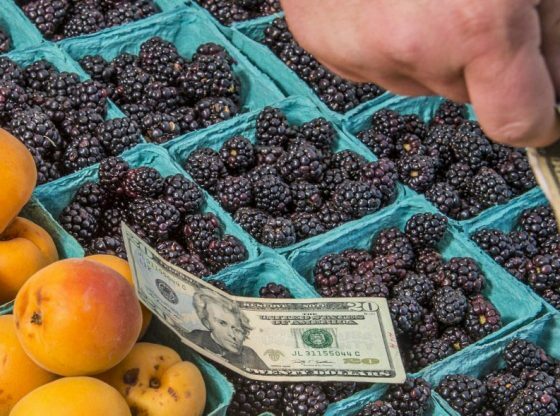 The obvious choice seems to be to focus on your immediate customer base and focus your sales efforts on family, friends, neighbors, and your local farmers market. You definitely should focus some of your attention there, but because small farms are often located in economically depressed areas, consider expanding your sales via the Internet. How will you set your price? Once you find out what price the market will bear you have to decide whether or not it will be profitable for you to make and market the product. How much money do you need to make? How many units do you need to sell to meet that goal? Is that number feasible? Even if you are not trying to attract investors, a basic business plan is a beneficial tool. It acts as a road map, keeping you focused on the business goal you have set. A good business plan will help you identify possible obstacles and overcome them before they happen, as well as identify and capitalize on your strengths. Set up a blog or website under your own domain name. This will make it easy for people to find, follow and support you and your business. Once you understand exactly what you want your homestead business to be, you need to make certain you are legal. Regulations vary by state so it is important that you get local information. It is tempting to jump into the business you have chosen, following what seems like basic good sense. Unfortunately, some of the regulations go far beyond good sense. Researching, understanding and complying with all of your local regulations will save you time, money, and in some cases, your farm and freedom. Make an appointment with your local ag department and take some time before the appointment to make a list of questions. You need to tell them what you plan to do and ask for clarification on the laws that regulate the niche you are going into. The regulations you receive may seem confusing and discouraging. Small farm start-ups generally do not have the capital the regulations seem to require. It is not the time to give up – it is time for some creative thinking. 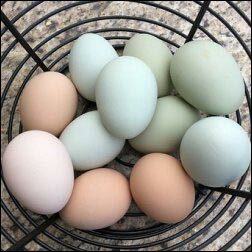 For example, some states allow you to sell eggs on your farm site, but not at farmers markets, if you have less than 500 birds. They also allow you to slaughter, process, and sell poultry meat from your farm site only if you raise less than 1000 birds. That is fine unless you do not want people randomly dropping by the farm. In order to uphold your legal obligation while maintaining the privacy you enjoy on your homestead, consider signing people up for a CSA. Once your customers have paid their CSA bill, you are free to arrange a regular drop-off site or home delivery service. Similarly, if you want to sell red meat, you are required to have a license in order to sell it from your farm and it must be processed at a state or federally inspected processing facility. You can avoid the license requirement by having your customer pick their order up from the processor. Selling raw milk is illegal in many states, and has strict requirements in the others. Setting up a cow or goat share is one of the best ways to work around the restrictions of selling raw milk while still obeying the law. Building a homestead business is like every other homestead project: decide what you want, make a plan, and do it. There is no magic formula other than your will to succeed and the amount of work you are willing to put into it.